We all know that kids can be picky eaters. Sure, we want and hope for little foodies, willing to eat anything and everything put in front of them, but it’s usually not that simple. However, we don’t think it’s impossible. With a little time and effort—and a whole lot of parental patience—you can encourage healthy eating habits and adventurous dining in even the pickiest of eaters. Be patient with new foods. It may take them some time to get used to new tastes and textures. Remember: If at first you don’t’ succeed, try, try again. Let your child pick out new foods. Take them to the store and let them pick a new fruit or vegetable or some other type of food to try. This gives them some ownership in the process of what they’re eating. Make food fun. Turn that cucumber into a caterpillar or that orange into an octopus. Get creative to see what you can come up with. Be a role model. It’ll be pretty hard to convince your kids to eat their broccoli if you yourself won’t even touch it. Hide the healthiness. Heard about green bean “French fries?” Or cauliflower mac and cheese? Give them something they love—with secret veggies tucked inside. Offer a choice. If you let your child choose which healthy snack to have, they feel less like they are being forced to eat something they don’t want to. Start early. 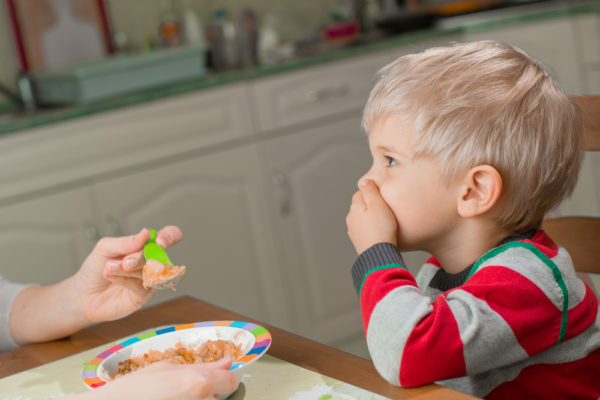 Food preferences in children start at a very young age (and are hard to break!) so start giving them a wide variety early on in their life. With persistence and patience, hopefully you can curb picky eating for good.